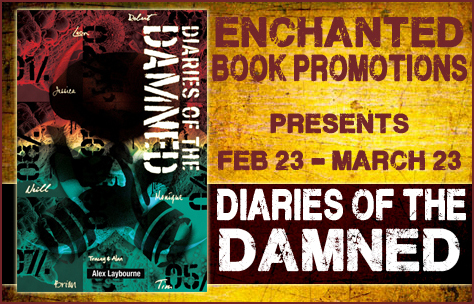 I’m interviewing Alex Laybourne, author of zombie horror “Diaries of the Damned”. Welcome to my blog, Alex, and thanks for answering my questions. 1) What’s the hardest part of being an author?